1) Last Thursday I shared an article with you out of Charleston, West Virginia, about a group of bar owners who united and protested their county’s smoking ban. In keeping with the theme of outright defying oppressive laws, check out this news item about a bar that’s actively ignoring Iowa’s statewide smoking ban—a bar that’s right across the street from a police station. 2) All this talk about Obama and McCain got you bored out of your cigar-loving mind? 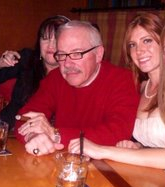 Let Stephen Colbert lighten things up with this interview of Libertarian presidential candidate Bob Barr (pictured smoking a cigar), who talks about having a cigar with Al Gore. 3) Inside the Industry: A survey by the Association for Women Cigar Smokers finds that, on average, female cigar smokers smoke 3-5 cigars per month, with one in five smoking at least one cigar a day (download the full results here.) We regret to report that Daniel Miranda, director of marketing for Miami Cigar & Co., passed away at 38 after a three-year fight with brain cancer. 4) Around the Blogs: Stogie Review reviews the Illusione f9. Her Humidor lights up a Tabacos Baez Monarcas. Keepers of the Flame smokes the Colombian Gold. Cigar Jack torches up a Kristoff Criollo. Cigar Inspector recaps the Hoyo de Monterrey. 5) Deal of the Week: Cuban Crafters has some great specials for Labor Day weekend. Included are deals on the J.L. Salazar, Cuban Crafters Cameroon, Cabinet Selection, and Don Kiki White. See all the deals here.